September 13, 2018 Orapin Chawankul, M.D. Irregular heartbeat, or cardiac arrhythmia, is a disease that has been well known to the medical world for many years. Normally, the human heart beats about 60-100 times per minute. If you are exercising or get excited or scared, it may beat a little faster. With cardiac arrhythmia, however, you will experience symptoms of heart flutters or palpitations, lightheadedness, dizziness, fainting or near fainting, caused by either a slow heartbeat (bradycardia) or a fast heartbeat (tachycardia). Cardiac arrhythmia can occur in both men and women of all ages. If left unchecked and untreated, there may be a risk of paralysis, particularly in cases of atrial fibrillation or heart attack, which is both dangerous and difficult to treat, with patients unlikely to regain previous levels of health and quality of life. 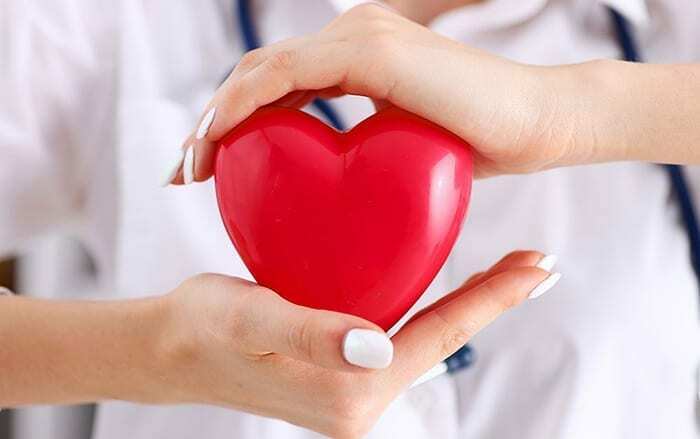 Structural heart diseases, which include congenital heart disorders, heart muscle disease (cardiomyopathy), lack of blood flow to the heart muscle (ischemia), etc. In some cases, these internal factors may be hereditary. There are also a number of external causes of cardiac arrhythmia, such as hot weather, stress, overwork, insufficient rest, alcohol, and smoking. Additionally, there are certain diseases that may not be the main cause, but can have an indirect effect on irregularity of heartbeat. These conditions include high blood pressure or dyslipidemia. Preliminary detection and diagnosis of cardiac arrhythmia can be carried out using a procedure that creates a graphic record of the heart’s electrical impulses. Known as EKG or ECG (electrocardiography), this procedure can tell us generally whether or not there are irregularities present. As a rule, I recommend that everyone over the age of 30 years receive an annual health checkup. The ECG is usually one of the tests that is part of this checkup. In some cases, however, there may be no heart beat irregularities found or detected during the ECG. Therefore, patients who are experiencing any symptoms of heart flutters or palpitations, dizziness, lightheadedness, fainting or near-fainting should have further examinations to determine the cause, using tests such as a blood test. In addition, there is a more detailed test than the ECG, known as the Holter monitor, which measures and records your heart’s activity continuously for 24 hours or longer, in order to get a clear view of the heart’s electrical activity during that time period. In determining which type of treatment is most appropriate, the doctor must consider all the contributing factors. For example, in cases of hypothyroidism, hyperthyroidism, or ischemic heart disease, if these conditions are causing cardiac arrhythmia and are treated at the cause, this may then prevent the occurrence of cardiac arrhythmia. 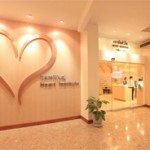 As for patients suffering from arrhythmia due to other causes mentioned previously, if the symptoms are not severe, they may be treated with medication. Of course, the condition must continue to be monitored and medication adjusted accordingly along the way, which would involve regular hospital visits—a rather discouraging prospect for many people. Today, however, there are a number of treatment methods that can, in fact, provide the patient with a fairly normal, happy life. One example is a treatment known as radiofrequency ablation. For those with cardiac arrhythmia, this provides a treatment option that doesn’t involve frequent hospital visits and regular administration of medication. Radiofrequency ablation is suitable for the treatment of tachycardia (faster than normal heart rate). Treatment using radiofrequency ablation requires a test known as electrophysiology study. This is a study that is carried out in a catheterization laboratory which tests the electrical activity and system of your heart to find out where exactly the arrhythmia is coming from, so that radiofrequency ablation can then be performed in the correct area. Once we have detected which part of the heart is having problems, a small straw-sized tube (called a sheath) will be inserted into the blood vessel in your groin. A catheter can then be inserted through the sheath and up to your heart. Small electrical impulses can be sent to your heart through this sheath. Wherever the exact site of the abnormality in your heart is, the catheter will be inserted through the vein or artery on that side of the body. This is a minimally invasive procedure, which means that, after treatment is completed, it is only necessary to stay in the hospital for one night to recover. With this method, patients no longer have to worry about constantly increasing or reducing medication dosages. As mentioned previously, radiofrequency ablation is most suitable for those suffering from tachycardia (faster than normal heartbeat). In some patients, however, tachycardia is present due to causes such as alcohol, smoking or taking certain types of medications. In these cases, gradually reducing these causes or stopping them completely often helps a great deal. For patients with bradycardia (slower than normal heartbeat) the condition may be caused by degeneration and damage to the heart’s electrical system. For the treatment of bradycardia, we now have new pacemakers that are much smaller than before and which can be implanted permanently in a patient’s body, allowing them to return to their normal daily lives and routines. Permanent pacemaker implantation is also carried out using minimally invasive surgery. A small incision will be made in the left side of the chest and the pacemaker wires (leads) will be threaded through the veins into the heart. These leads will be attached to the permanent pacemaker, which has a width of approximately 0.5-3 centimeters. The pacemaker will be implanted in the left side of the chest. After this procedure, the patient no longer needs to be concerned or worried, as the permanent pacemaker works to stimulate the heart to beat and function normally. The pacemaker is powered by a battery that lasts for 5-10 years. If the battery runs out, it can easily be changed with a simple surgical procedure. Nowadays, this type of surgery can sometimes be carried out even with only local anesthesia. If general anesthesia is necessary, just enough will be administered to allow the patient to sleep comfortably throughout the procedure. As the majority of patients with cardiac arrhythmia are elderly patients, they will be relieved to know that for elderly patients requiring surgery, either for pacemaker implantation or battery replacement, complications are considered to be very rare. Again, I want to emphasize that alcohol, smoking, taking certain medications and stress are all common causes of impaired cardiac functions. Avoiding or stopping these factors altogether can help to prevent heart damage and degeneration. When Your Heart Beats Too Fast or Too Slow, That’s Not a Good Thing If you are experiencing tightness or pain in the chest and pain in the jaw and arms during a workout or activity, and the pain eases up with rest, it can be a sign of myocardial infarction. Don’t leave it untreated. The First Class Honour M.D., Faculty of Medicine, Siriraj Hospital, Mahidol University, 2001.